You have rights under Alabama state law that no one can take away from you. We provide aggressive criminal defense representation for charges ranging from capital murder to traffic violations, including driving under the influence (DUI), drug crimes, weapons charges, domestic violence, and a whole host of felonies and misdemeanors. If you’ve been charged with a criminal offense in Alabama, you are likely concerned about what comes next (as you should be). You may know that a conviction for a serious crime can put you behind bars for years and lead to expensive fines. What you may not know, however, is that there are a variety of other consequences associated with a conviction that can compromise your future long after you’ve fulfilled the terms of your sentencing. For instance, convicted felons may find it next to impossible to secure gainful employment or rent an apartment. In some cases, they may lose their right to vote and/or own a firearm. You can never act too quickly when it comes to hiring a seasoned criminal defense attorney. Waiting days or even hours can make your situation much more difficult than it needs to be. Pick up the phone now and make an appointment with us today. We’ll do everything in our legal power to shield you from the consequences of a misdemeanor or felony conviction. Everyone makes mistakes. A truism, no doubt, but one that shouldn’t be forgotten when you’re stuck in the trenches of a case involving driving under the influence. Having helped vulnerable Alabamians for more than three generations, the compassionate attorneys at Watson & Neeley, LLC know firsthand how devastating a DUI conviction can be on the accused and those they love most. Don’t gamble with your future — if you’ve recently been charged with a DUI, consult a dedicated criminal defense attorney now. A felony conviction will change your life, and not for the better. That’s just a fact. The only way to protect yourself from a life-altering felony conviction is to align yourself with a trusted, experienced criminal defense attorney. Regardless of the specifics of your case, the skilled team at Watson & Neeley, LLC have the skill set necessary to help you and your family secure the future you deserve. Domestic violence has the potential to destroy a family. At Watson & Neeley, LLC, we’re in the business of protecting Alabamians’ freedom and individual rights. We are not in the business of passing judgement or abandoning our fellow residents when they’re at their most vulnerable. Don’t let petty fears or social stigmas prevent you from seeking the help you need — call Watson & Neeley, LLC now. If you’ve recently been charged with a drug-related offense, there’s simply no time to waste in fighting back and securing your freedom. The state of Alabama has some of the strictest drug laws in the country, and only an experienced, knowledgeable criminal defense attorney can help you avoid a lengthy prison sentence and/or outrageous fine. Don’t delay — contact Watson & Neeley, LLC now. So you’ve been charged with a criminal offense in the state of Alabama. Before the panic sets in, remember that Watson & Neeley, LLC has been defending Alabamians for more than 60 years. Regardless of your circumstances, our experienced team has the tenacity and fortitude to help you obtain the outcome you deserve. Call us today to get started. 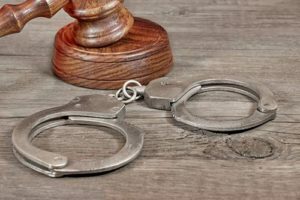 The lawyers at Watson & Neeley, LLC take great pride in providing exceptional criminal defense services to residents of Fort Payne, Scottsboro, Rainsville, Centre, and DeKalb County. Call (256) 845-0410 to learn more. Call (256) 845-0410 or fill out the form below to get the help you deserve regarding your family or criminal defense matters.